Read on to understand whiplash injuries caused by vehicular accident and how to file a claim. 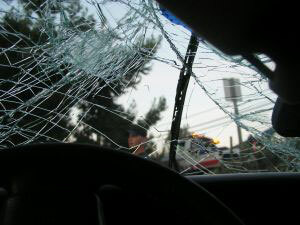 Whiplash is usually associated with vehicular accidents. This usually happens when a car collides with your vehicle causing your body to suddenly move forward. When this happens, your neck will be overstretched which will result to hyperextension. Whiplash is a soft tissue injury to the neck and it can be quite painful. When remain untreated, patients can suffer from it for several years. For this reason, it is highly recommended that patients seek professional medical treatment right away. If the whiplash is the result of an accident where a car collided to your vehicle, you can file a whiplash compensation claim. The first step is to identify the board or agency in your area that handles whiplash compensation claims. You could perhaps use the internet to get the information you need. To file the claim, you will need police report of the vehicular accident, medical certifications, and copy of medical bills that you had to pay for your treatment. It’s important that you have the personal information of the erring party and the insurance company that covers their vehicle. Lastly, get professional legal assistance when you lodge your claim.